This is the second installment in helping you fully develop and implement Org Charts and Position Agreements, which support a culture of ownership within your business. Click here for Part 1. The three things people crave in a business are: Certainty, Unity and Stability. Certainty enters when people know what you expect them to do. Unity is established when you and your employees agree point-by-point. Stability begins when you write it down and refer back to the agreement. If you followed my previous blog post, you have a wall or space that displays all your business activities on sticky notes grouped under departments and by position. I know some of you want to frame the wall space and call it good, but sticky notes do not resemble certainty, unity or stability. So, let’s move to the next step: Position Agreements. Many of my clients feel the power of this tool and, with that, they feel pressure to get the PA written as if it were the Magna Carta: They want it to be complete, correct and—by the way—it ought to be infused with the company vision, values, brand commitment, and why not the kitchen sink? Phew! Collect the sticky note activities for each position and write the list on paper. Have your employees write up their list of work activities in their own words. You’ll find out what your employees think of their role, who they are and what they do. In this case, you are the one who needs to be sure you understand each item. This can be a great source for rich conversations with your employees. IMPORTANT: You are not off the hook. You need your own list of what you expect them to do, even if you keep it under the table. This helps you ensure the initial PA is suitable. Just moving the activities to paper, whether it’s from your wall, your head or your employee’s head is a big change. Having the conversation allows you to make a start. You can run for 3-6 months on the strength of this “junior” Position Agreement. This is just the beginning to ensuring that your company and employees are clear on their roles and assignments. But starting with one of these methods will help you bridge the gap from your Org Chart, to your Position Agreements. 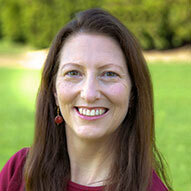 Janet is an EMyth Coach, teacher, workshop facilitator, and speaker. She loves what small business does for its customers, employees, and community. She focuses on getting to the heart of your issues or opportunities to help you make the important changes needed. Learn more about Janet and schedule a free session with her here. See all of Janet's posts.